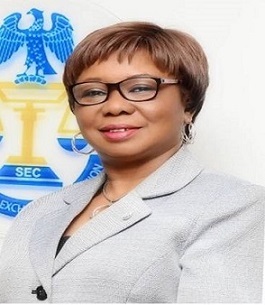 The Securities and Exchange Commission has said the capital market needs initiatives that will help attract and retain investments. The acting Director-General, SEC, Ms Mary Uduk, while speaking at the launch of an investment book, ‘Riding the Eagle’, in Lagos on Monday, urged stakeholders to continue to take positive steps that would attract both local and foreign investments to stimulate economic growth and develop critical infrastructure necessary for the country’s development. According to Uduk, investors always want to be sure of the rational basis of their investment decisions before transferring resources. She said, “Providing information to investors will enhance transparency in the Nigerian markets and improve our global reputation in the investment community. “This investment book meets this imperative by providing comprehensive and up-to-date information on investing in the Nigerian markets via a road map and guide for foreign, domestic, institutional and individual investors alike. Uduk added that the book gave details on key sectors that were driving the performance of the Nigerian economy and the investment opportunities available for interested investors and motivated entrepreneurs. She commended the author, Mrs Toyin Sanni, for putting at the disposal of the industry the experience of over one decade in the money market and another two decades in the capital market. “It is imperative, therefore, that we all, as stakeholders, continue to take positive steps to attract and retain both local and foreign investments to stimulate economic growth and develop critical infrastructure necessary for our country’s development,” Uduk added. The Vice Chairman, FAMFA Oil Limited, Mrs Folorunsho Alakija, described the book as an appropriate and timely information guide for all stakeholders in the investment sector in the country. Sanni, on her part, said the book would help make Nigeria a sustainable and preferred destination for investments as it provided detailed and concise information for investors.